You are cordially invited to celebrate Fall 2018 ATEC undergraduate students as they present their culminating projects. Students who present during the Best Capstone Finalist Presentations are eligible to win the Best Capstone Award. In order to become eligible, students were nominated by ATEC faculty and auditioned to become a Best Capstone Finalist. The winner will be chosen by a panel of judges consisting of UT Dallas faculty and industry professionals. 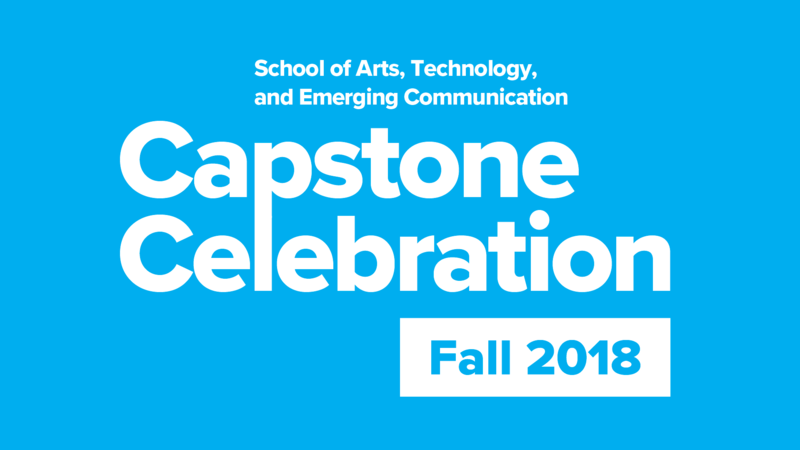 The recipient of this award will be announced at the Capstone Award Ceremony and will receive a cash prize of $250 gifted by the School of Arts, Technology, and Emerging Communication (ATEC). Fan Favorite Awards may be voted on by all event attendees. All student projects are eligible to win. Winners will receive a certificate of recognition during the Capstone Award Ceremony.